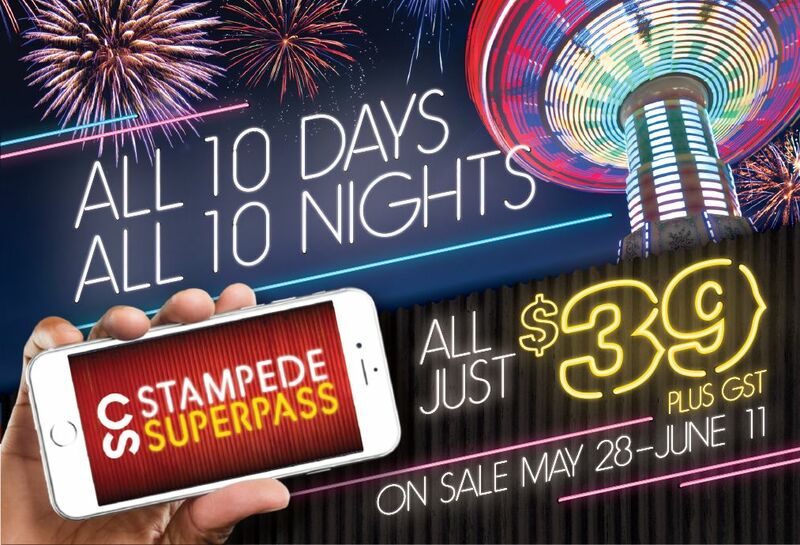 Calgary – Back by popular demand from the community, guests can enjoy unlimited entry to the Calgary Stampede for all 10 days and all 10 nights by purchasing a Stampede SuperPass. Available for a limited-time only, this is the only Stampede Park Admission offer that lets you come back every day and every night to experience it all. “Every year the Stampede provides unbelievable, world-class entertainment all included in the price of Stampede Park Admission; but there are so many things to see and do that it’s impossible to experience it all in one day,” explains Kyle Corner, Manager of Entertainment Programming, at the Calgary Stampede. See all the music on the Coca-Cola Stage, take your time trying all the new Midway foods and visit the Nashville North tent more than once. The SuperPass is the best way to get in on all of the action. All concerts on the Coca-Cola Stage and Nashville North Stage are free with admission to the Calgary Stampede. Take advantage of unlimited gate admission with the Stampede SuperPass! The SuperPass is only available to purchase for a limited time from May 28 – June 11, 2018, for just $39 plus GST. 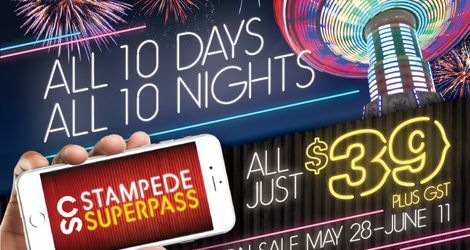 To get your SuperPass visit CalgaryStampede.com/SuperPass and turn up the fun on your summer!